Our hearts. Catelynn Lowell broke the big news to her daughter, Nova: She’s going to be a big sister! Watch the adorable promises the toddler makes for her new role, here! “What if it’s a boy? Would you be happy if you have a little brother too?” Catelynn asks, after her husband makes a mock disappointed face. The reality television star had admitted that her and Tyler are hoping for a boy, she told Us Weekly in an interview published on Sept. 14. 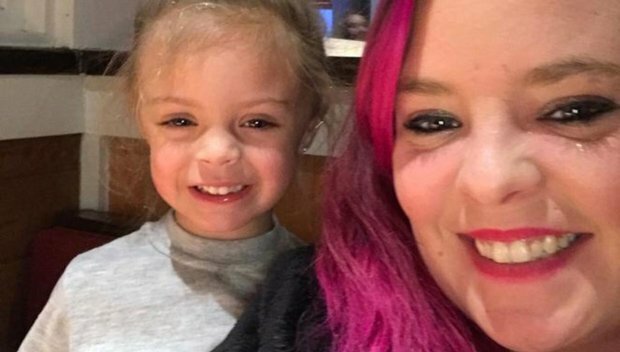 In the preview clip, Nova quickly changes her mind, exclaiming “Yeah!” However, she does ask if the baby “goes away.” Although only a toddler, Nova might’ve been referring to her mom’s tragic miscarriage, which Catelynn and Tyler confirmed in the Feb. 26 episode on Season 2. After the parents say the baby won’t go away, Nova switches back to a happier subject: how amazing of a big sister she’ll be! She promises to “walk it” and “feed it bubbles,” and the clip ends on Nova saying the sweetest thing ever. Seriously, it’s so cute, so you must watch the precious moment below! The best moment of the video? When Nova tells her mom to tell the new baby “SHH!” if it cries a lot. Parenting advice of the year!